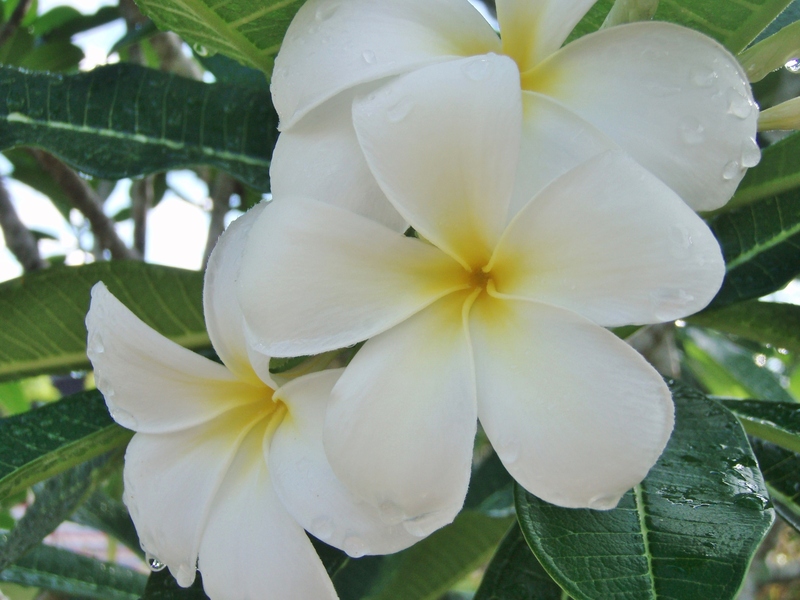 I took these beautiful scented frangipani at a beach resort 2 weekends ago when we went for a church ladies’ retreat. It was in the morning and the sun had yet to dry off the remaining raindrops on the flowers left by an overnight of long-awaited rain. When I went for the walk, the wet ground and walkways were carpeted with white and pink frangipani flowers and the fragrance of the flowers was lingering in the rain-washed air. It was intoxicating and a delightful sight. 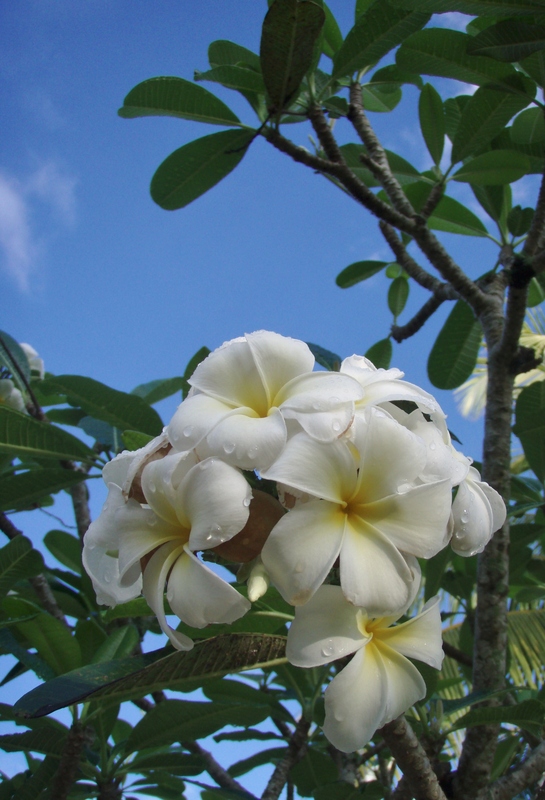 While I was doing my devotion yesterday and meditated on the following scripture verses, the image of the pleasing frangipani came to mind…..
28 “And why do you worry about clothes? See how the flowers of the field grow. They do not labor or spin. 29 Yet I tell you that not even Solomon in all his splendor was dressed like one of these. 30 If that is how God clothes the grass of the field, which is here today and tomorrow is thrown into the fire, will he not much more clothe you – you of little faith? 31 So do not worry, saying, ‘What shall we eat?’ or ‘What shall we drink?’ or ‘What shall we wear?’ 32 For the pagans run after all these things, and your heavenly Father knows that you need them. 33 But seek first his kingdom and his righteousness, and all these things will be given to you as well. 34 Therefore do not worry about tomorrow, for tomorrow will worry about itself. Each day has enough trouble of its own.